Wow, what a fantastic week I have behind. I was honored to be picked to be one of 2016 Stylemaker for Better Homes and Gardens this year. I got to travel to NYC last week to attend BHG’s inspiring Stylemaker event. I will have a separate post on that few inspiring days soon so stay tuned! 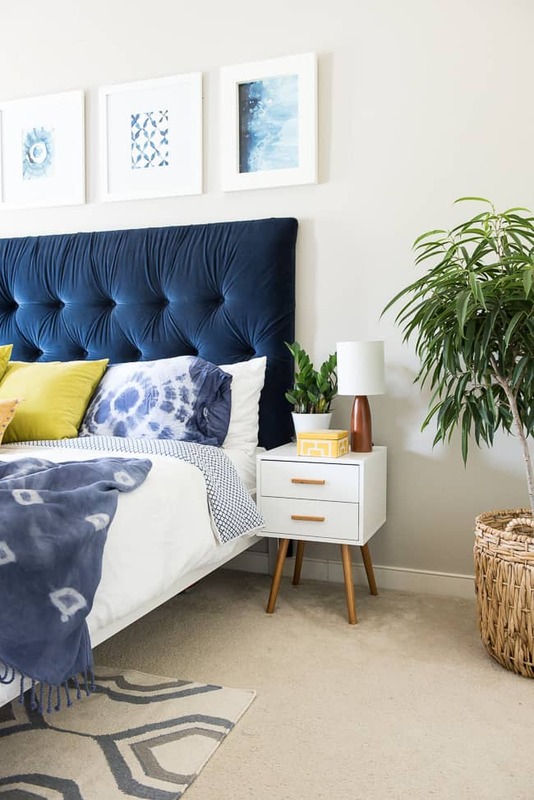 But today I am back with some home decor tips for you guys! If you are following me for a while, you probably know already how much I love the shibori trend. A few months ago, it was the beginning of the summer to be exact; I tie dyed some awesome pillow covers for my living room. 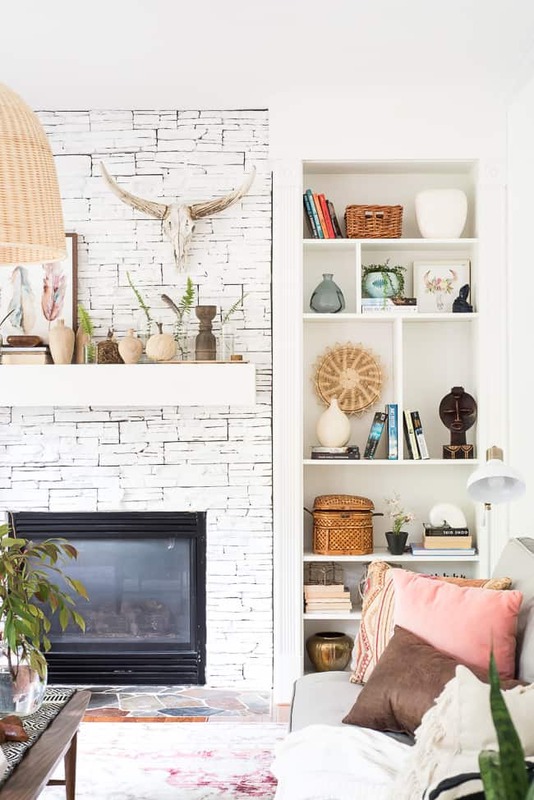 It was a super easy little DIY, and it truly changed the entire feel of my living room! 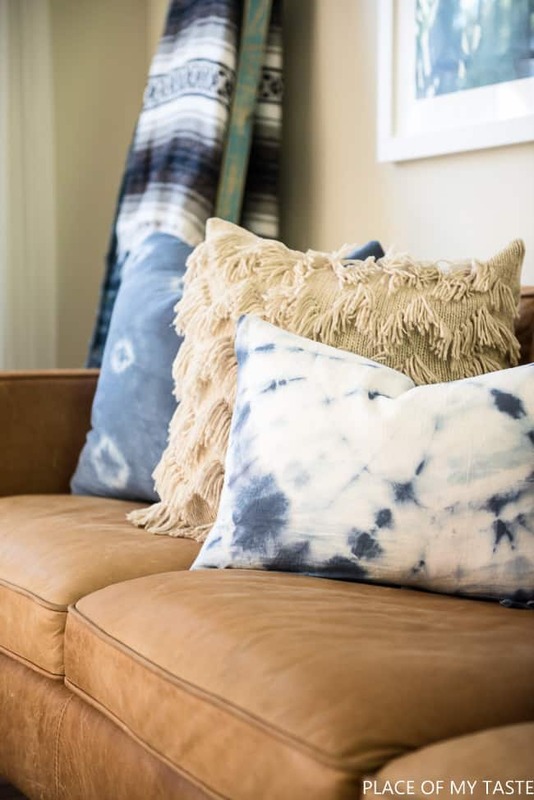 Today I am sharing three simple ways to incorporate the SHIBORI trend into your home decor. Check out this short video of how these cool pillows and throw was made with a simple DIY!! 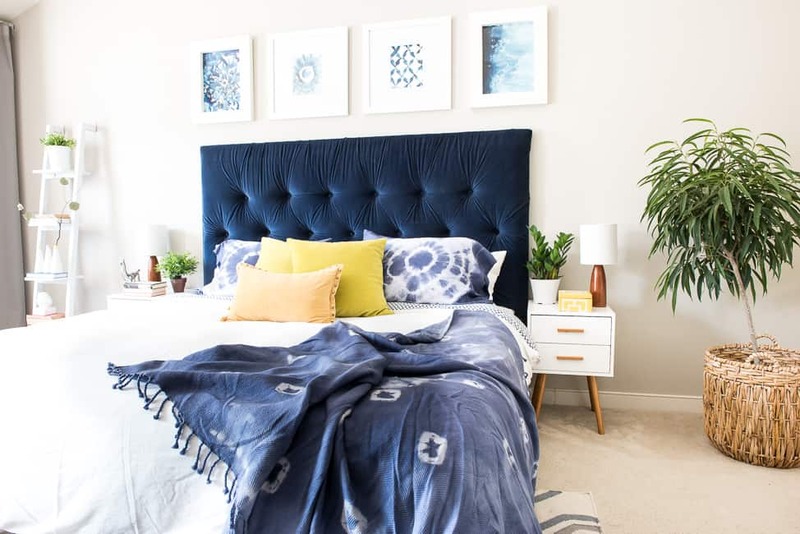 I love how these simple DIY ideas transformed my room. 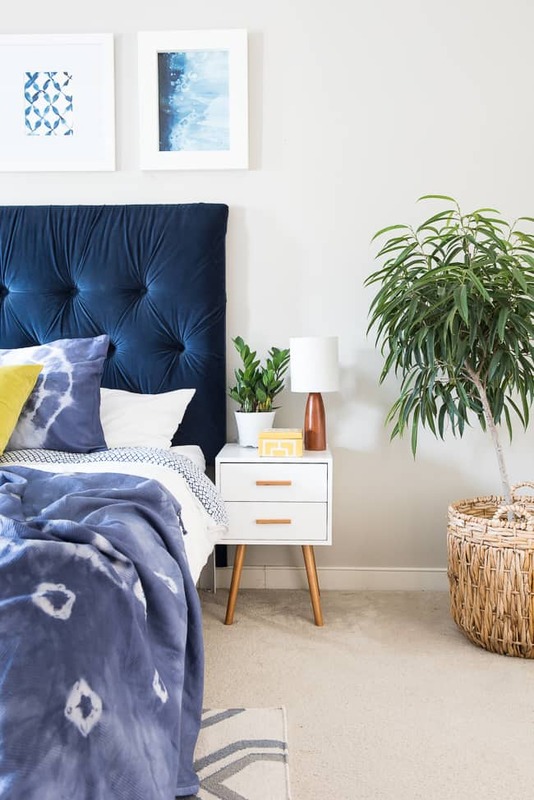 If you notice, I will get a few new pieces, like that night stand and my large basket to spice up my room even more! So what do you think? 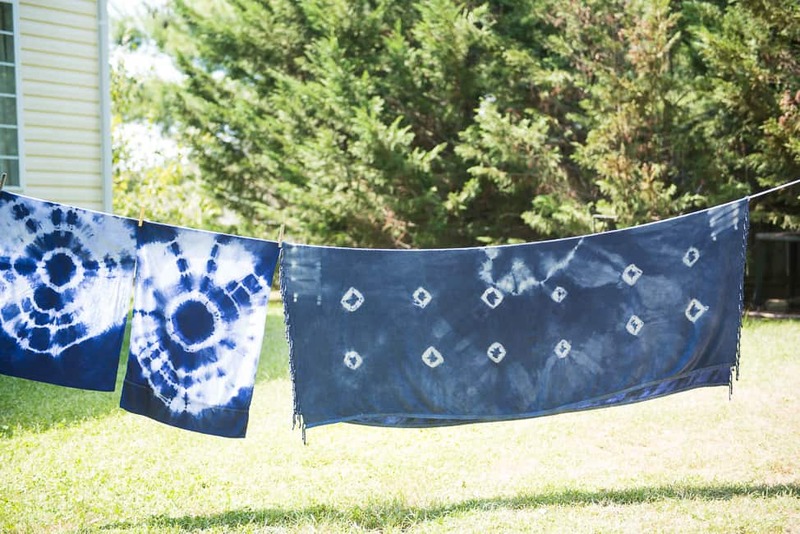 Will you try this fun and easy dying technique? Trust me, it’s easy and so worth it! I am loving my throw so much that I think I am ready to make some more with different patterns! 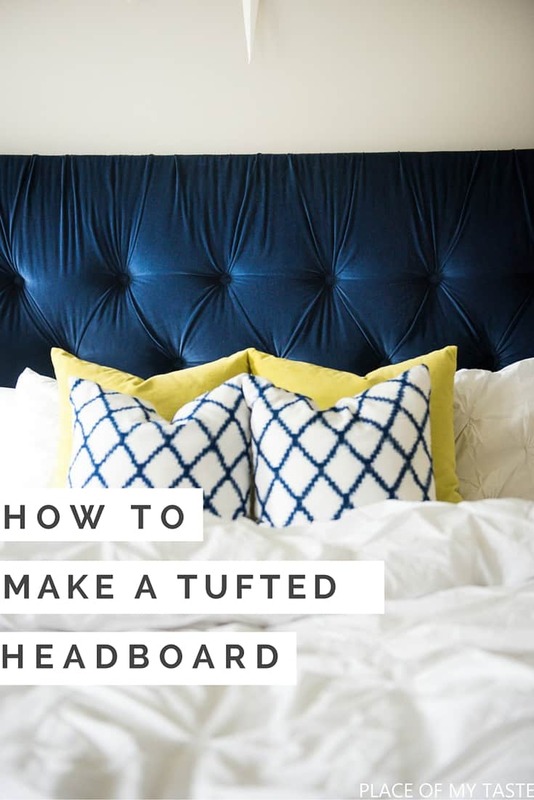 If you like my beautiful headboard, check out this post below on how to make it yourself! 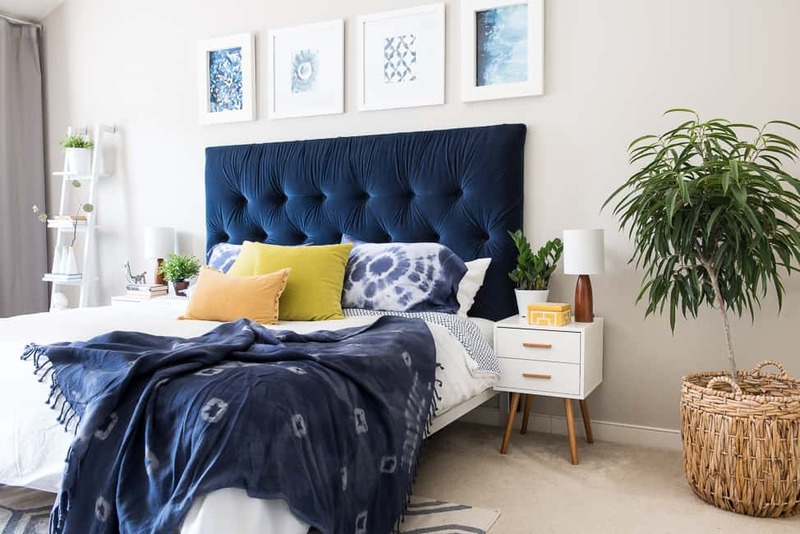 And if you missed seeing my FALL HOME TOUR last week, be sure to click over! !